I have always been fascinated by the ingenious complexities within the human body that are invisible to the naked eye. The challenge of deciphering them is my driving force. I would love to be able to use a single blood sample to determine a person's health status, risk of disease, diagnosis of any disease they may not be aware of, and ultimately what treatment will cure them without causing any harm. Dr Lincz has been employed by the Calvary Mater Newcastle (CMN) Hospital in the Hunter Haematology Research Group since 1998 where she is presently the Senior Research Officer and holds a conjoint Associate Professor position at the University of Newcastle’s School of Biomedical Sciences and Pharmacy. Dr Lincz’s research interests combine a background in molecular biology with current knowledge of clinical haematology and a passion for discovering biomarkers of disease and response to treatment. 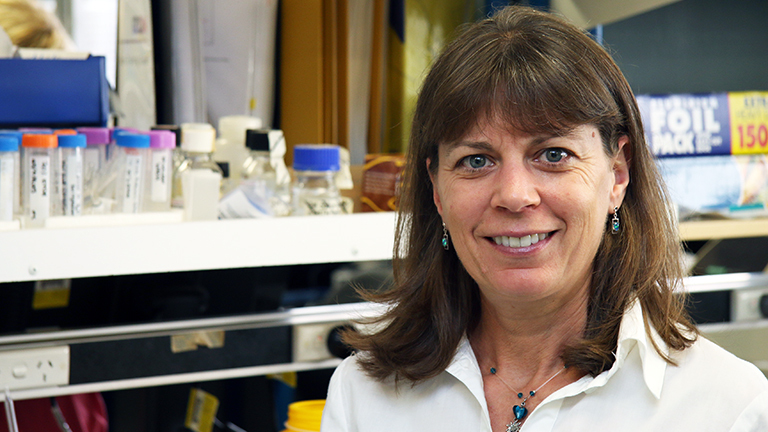 Dr Lincz has a strong background in cancer biology, having been awarded her PhD in 1998 for work examining the role of cellular adhesion and three-dimensional structures in preventing programmed cell death in colon cancer. In order to support what is now a more translational form of research, she went on to complete a Graduate Diploma in Clinical Epidemiology (Molecular Genetics) in 2007 at the University of Newcastle. Dr Lincz has taken a more recent interest in thrombosis and coagulation, as evidenced by her publications of the past five years, her NHMRC grants and current collaborations with the International Stroke Consortium and Subcommittee of the International Society on Thrombosis and Haemostasis. Dr. Lincz is Chairperson for the CMN Research Committee (since 2006), peer reviews for many funding bodies and publishers, and has successfully supervised both undergraduate and higher research degrees (currently 2 PhD students). She has been invited to present her work on microvesicles at national and international conferences, and has published numerous peer-reviewed articles in the field. I am currently analysing circulating microparticles from the blood of people with various diseases in order to determine how they contribute to disease; with the hopes of one day finding a way to stop them. International Society on Thrombosis and Haemostasis (ISTH).